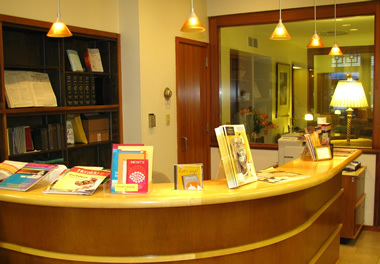 All are welcome to visit our Reading Room. It is a quiet place for prayer and study to gain inspiration and guidance. A Librarian is available to answer questions and to provide helpful information about Christian Science. 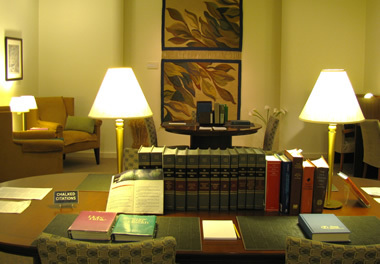 Come in to read, browse, ask questions, or pray in our study room. Other writings by Mary Baker Eddy, including Miscellaneous Writings 1883-1896, Rudimental Divine Science, Unity of Good, Retrospection and Introspection, and more. These are also available in one book, Prose Works. 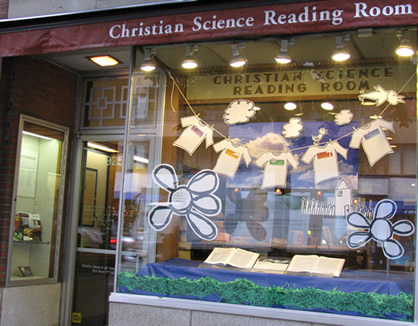 The Christian Science periodicals, containing articles and testimonies of healing, including The Christian Science Journal (monthly), the Christian Science Sentinel (weekly), and the Christian Science Herald (in numerous languages, including Spanish, French, German and many others), are available to read or purchase. The Pulitzer Prize-winning Christian Science Monitor is available online, and the weekly print edition is available to read or purchase. Online access to websites, to hear and participate in chats about Christian Science, use online study tools, and to read more articles and testimonies, is also available. All books and periodicals are available to read, borrow, or purchase. Mondays, Fridays and Saturdays: 10:00 a.m. - 6:00 p.m.
Wednesdays: 10:00 a.m. - 7:15 p.m.
Sundays and Holidays: 1:00 p.m. - 4:00 p.m.
©2011 Eighth Church of Christ, Scientist, New York. All rights reserved.